Superb Novelty statue will give years of pleasure. As with all our designs this statues is made from solid cast stone. This item is a fantastic addition to any garden/estate/business. 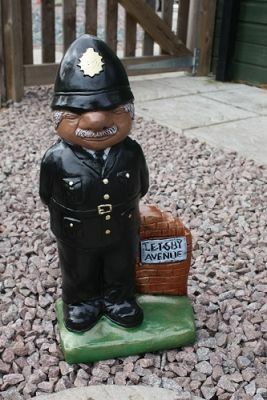 The Policeman stands 53cm high and weighs 16KG. All our Statues are manufactured in the UK.